A MAN who was shot while liming in Port of Spain yesterday, spent several hours in surgery as doctors fought to save his life. Chavez Toppin, 25, who was shot in the back of the head, was brought to the Port of Spain General Hospital in an unconscious state. 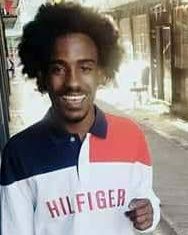 Police said that at 8.20 am, Toppin of Building 14, Nelson Street, was sitting on a bench talking with a friend when a man with a black bandana covering his face walked from behind a parked car and shot him once. Toppin’s friend screamed as the gunman ran off. Port of Spain Division and Inter Agency Task Force police officers later took Toppin to Hospital. Up to press time, he was warded in serious condition. Police searched the George and Nelson Street apartment buildings for the gunman but were unsuccessful. Reply to "Man shot on George Street"